If you’ve subscribed to the blog any amount of time, then you know that I love to study the Bible using all different means and methods. Whether a group study, devotional, personal study, or Bible journaling, reading God’s Word is a lifeline that I can never substitute with anything else. Studying God’s Word is so very important to me. God speaks to my heart through His Word and his love shines through his love letter. I need Him so desperately. Maybe you too? I’ve discovered that one of the best ways for me to continue to enjoy God’s Word is to vary my study methods. I know some folks have been studying the Bible with their same checklist method or question and answer style for years and years. And there’s nothing wrong with that at all! I admire their faithfulness. However, for me, I truly enjoy studying the Bible using different methods. I fell in love with Bible journaling and Bible art journaling last year. Using “add-on’s” of different kinds has opened another creative Bible study outlet. 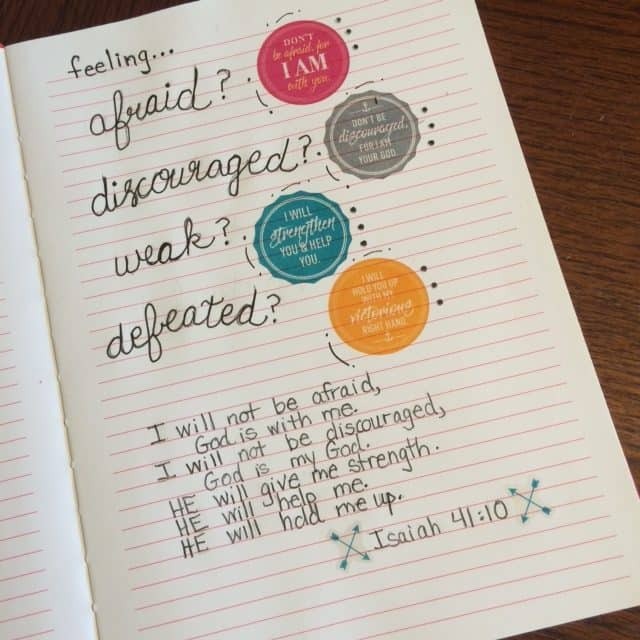 Whether coloring with pencils or using stamps or adding stickers, I enjoy using art of all forms to help me remember and reflect on God’s Word. 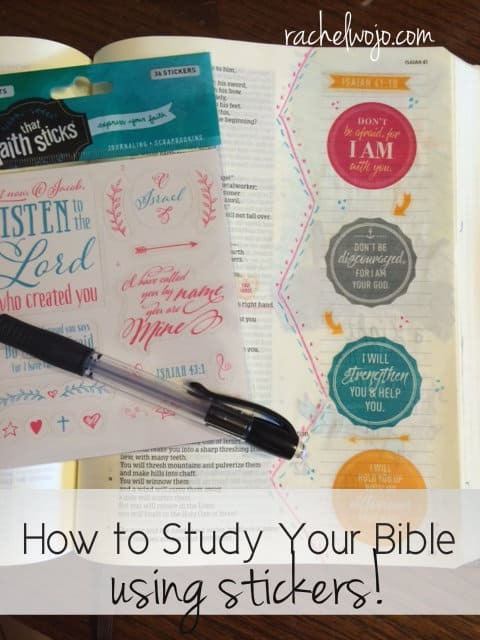 So why study your Bible with stickers? Glad you asked! 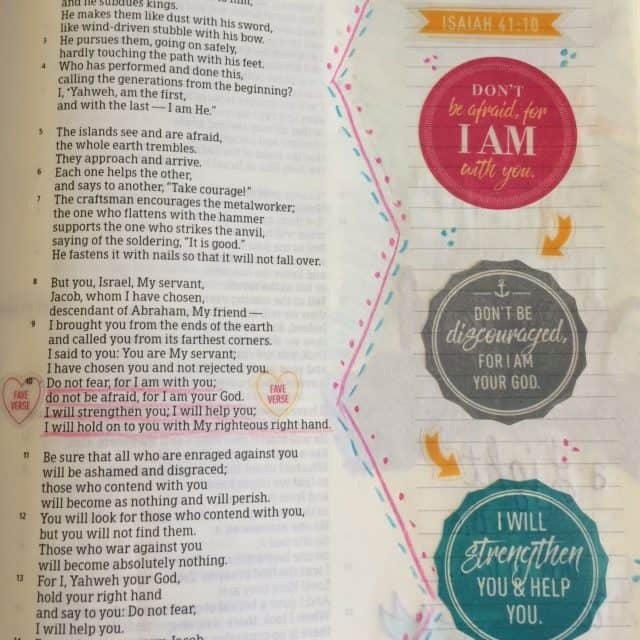 Here are 4 things I discovered when studying my Bible using stickers. 1.Studying a favorite passage using stickers provides quick visible images to help you memorize a verse. Check out this example below. I really love Isaiah 41:10 and I know many of you do too. But when a passage is familiar to us, it’s easy to forget the depth of why we love it so much. By taking key words from the passage and asking a question, we can answer our emotions with the truth of God’s Word. I used the stickers to answer my questions above. I also rewrote the questions and answers into my own statements of truth that I gleaned from the verse to help me personally apply these principles. 2. Using a tangible item that I can feel with my hands provides a sense of reality to relate to God’s Word. In other words, God gave us our sense of touch. The simple act of peeling a sticker off the sheet and placing it on the paper brings tangibility to concepts we can only think about otherwise. Ever wonder why preschool children love stickers so much? They can begin to grasp a concept at a greater depth when their sense of touch is implemented in their learning patterns. 3. Adding colored or designed stickers draws attention to how God is speaking to my heart. Adding stickers to emphasize God’s Word serves the same purpose as underlining or highlighting; it helps me visually recognize how God is working in my own heart and life through his word. There is no right or wrong way to use the stickers; God speaks to all of us in different ways, using different methods. I’m so glad God gave us a world of color to live in! 4. 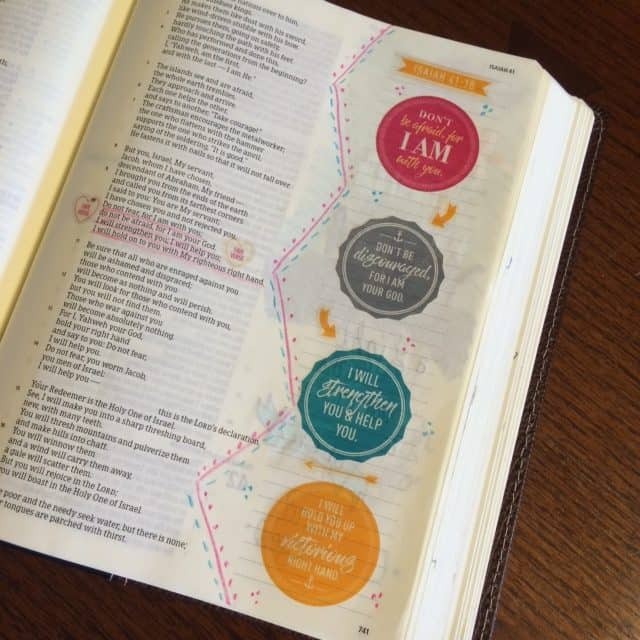 Meditating on God’s Word while using stickers actually gives me a faith that sticks! Isn’t that what we all want as Christians? A faith that stays with us, that we remember, that we picture in our mind’s eye when things get cloudy in this world? A faith that really sticks! 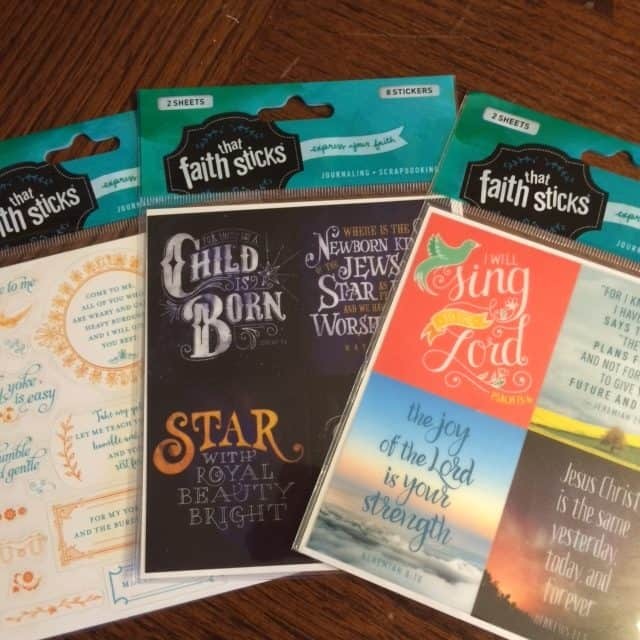 If you enjoyed this post, you’ll really love the Tyndale stickers, “faith that sticks!” Below you’ll find the Isaiah 41:10 stickers I used for my lesson above. You can purchase them HERE or click on the graphic below.